CANTON, OHIO (March 1, 2013) – The 2013 lineup for the Canton Blues Festival has been announced. The festival is happening on Market Square in downtown Canton on Friday, June 7, and Saturday, June 8, and will feature headliners Malina Moye on Friday at 8:30 p.m., and Shane Dwight on Saturday at 8:30 p.m., along with music all day from noon to 10:30 p.m. The FREE outdoor summer festival, now in its 12th year, is presented by Canton Development Partnership, a department of the Canton Regional Chamber. Photo Courtesy of WCE Records[/caption] Flipping a Fender Stratocaster upside-down, acclaimed singer/songwriter and lefty guitarist Malina Moye fills a void in the entertainment industry. Described as a modern day Renaissance woman, she’s a quadruple threat, carving out her own lane in today’s music scene as one of the few artists in history able to straddle both rock and soul genres. Moye’s musical narrative boasts an impressive resume that includes making history as the first African-American woman to play the National Anthem on guitar at a major sporting event, performing at the Rock & Roll Hall of Fame, and owning her own successful record label. Recently, Jet Magazine praised her as “the highlight of the evening” after she headlined a sold-out concert with Chaka Khan to honor the legendary humanitarian Stevie Wonder. A pioneer among the new generation of lead guitarists, Moye is the first left-handed female player to be included on the legendary Fender Guitars’ impressive roster of endorsees, and to also join the critically acclaimed 2012 Experience Hendrix tour—Guitar World magazine dubbed her the “female Jimi Hendrix” and “one of the top 10 female guitarists to know.” Moye is currently finishing her new record, Rock ‘N Roll Baby, slated for a first quarter release. 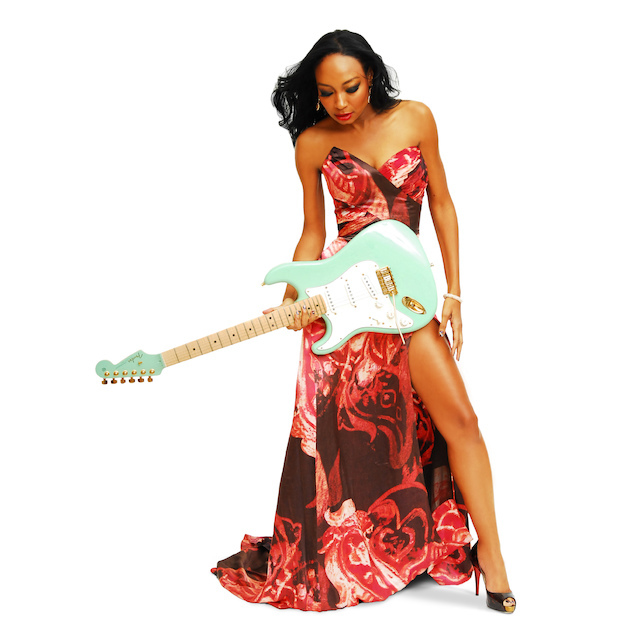 Visit www.MalinaMoye.com for a full biography and discography. Photo Courtesy of Dave Lepori[/caption] Over the past 10 years, Shane Dwight has performed over 2,000 live shows, released seven CDs with over 60,000 units sold, been a repeat performer on the Legendary Rhythm and Blues Cruise (West Coast and East Coast), and performed at some of the biggest music festivals around the world, including Beale Street Music Festival, Bayfront Blues Festival, Bethlehem Musikfest, Ottawa Bluesfest and Portland Waterfront Blues Festival. 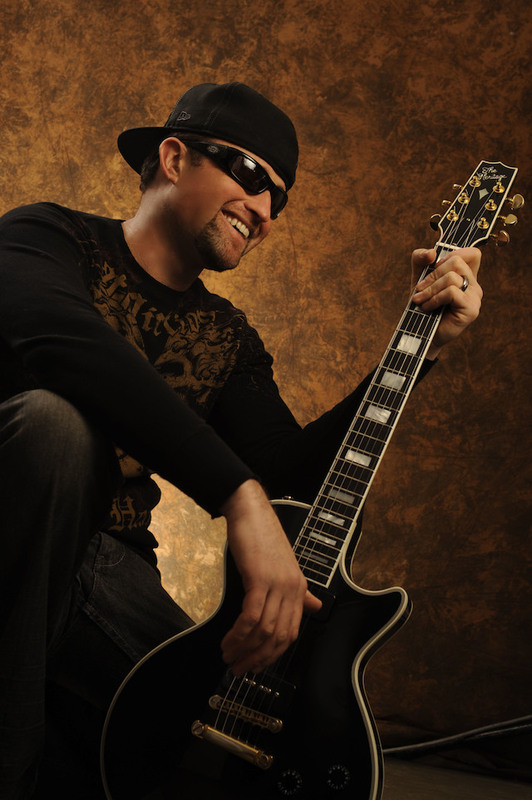 He has performed with and/or shared the stage with a wide variety of some of the biggest names in music and has been heard on hundreds of radio stations in over 30 different countries. And critical accolades have followed Dwight wherever he has gone: Blues Revue magazine called him a “talented musician and an impressive songwriter.” The San Francisco Chronicle called him “a music sensation…” and Andrew Gilbert of the San Jose Mercury News complimented Dwight for his “tough, lean guitar work and commanding vocals, he is a tour de force…” Visit www.ShaneDwight.com for a full biography and discography. Go online to CantonBluesFest.com for a full list of festival performers and other details about this year’s event, including opening acts Devon Allman and Honeytribe (Friday) and Midlife Chryslers (Saturday). Blues Fest VIP Passes are available again this year. Buy your two-day pass online for $75 and take advantage of FREE food and beer in the evening (after 5 p.m.), and incredible views of the stage all day. One-day Blues Fest VIP Membership passes are also available for $45. Visit CantonBluesFest.com to purchase VIP passes online, or contact Monique Thompson-Kennedy at (330) 458-2070 to reserve your passes today. The 2013 Canton Blues Fest is made possible in part by Cormony Development and Standard Plumbing and Heating Co., along with sponsors (to date) including Phil and Nancy Sonner, Legacy Roofing, Aultman Health Foundation, Superior Beverage Group, The Repository, The City of Canton, Mix 94.1 and News-Talk 1480 WHBC AM, Downtown Canton Special Improvement District, PPI Graphics and Kimble Companies.